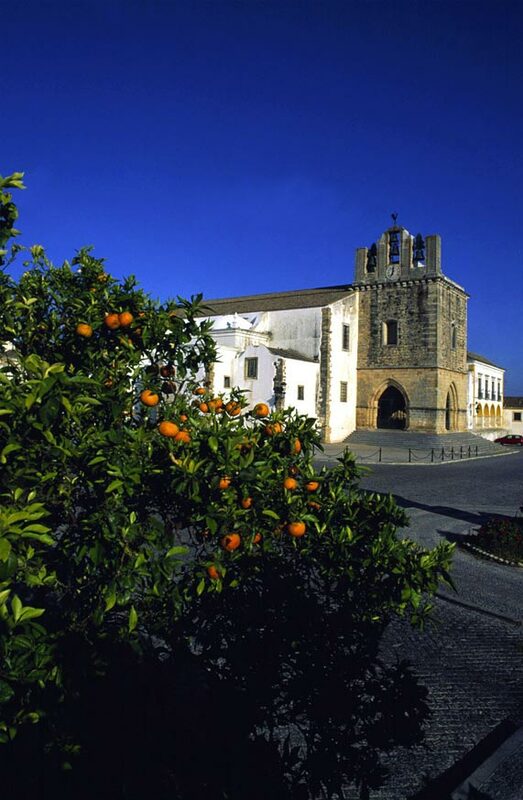 Surrounded by fertile fields of trees bearing fruit, olives and the almonds for which the Algarve is famous, Faro is a large town of over 50,000 inhabitants, the administrative capital of the province, lies at the heart of the Formosa Estuary. Under Moorish rule the port of Faro was of great importance but more recently it is the airport which serves as the entry point for millions of holidaymakers who flock annually to the south of Portugal. 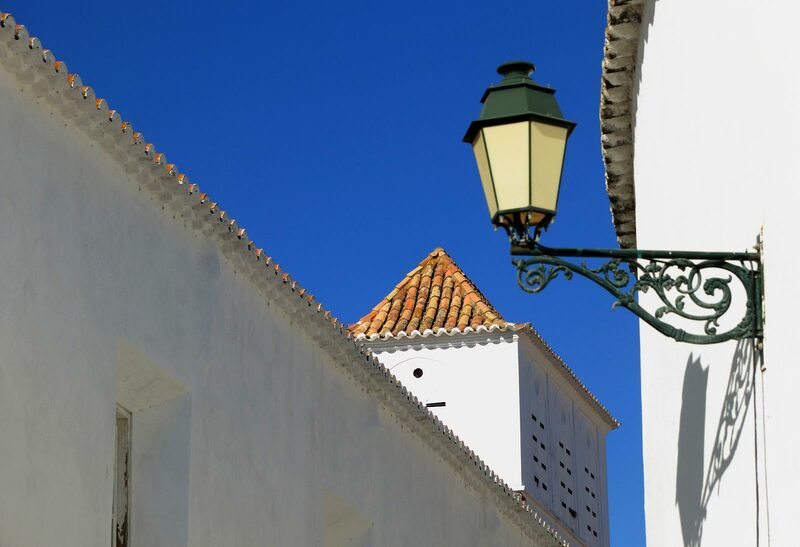 Although many rush straight through en route to holiday resorts elsewhere in the region, Faro itself is well worth a visit or even an extended stay as it retains much of its past charm, boasts excellent beaches and provides the amenities and attractions typical of a larger town. Both the Moors and the Romans left their mark here: the 9th century city walls encircling the centre of the old town are of Roman origin and contain ornate Moorish archways, but now serve to surround a number of catholic churches and a cathedral. As the last Portuguese province under Muslim rule, the expelling of the Moors from Faro in 1249, and so the Algarve, marked the end of their rule in the whole country. Adjacent to a calm square lined with orange trees and facing the still functioning Bishop's Palace, the cathedral, The Se, is in fact built on the site of an ancient mosque and before that a Roman forum. Its interior contains a beautiful tiled chapel, although if tiles that tell a story are particularly appealing, then the Church of Sao Francisco and its glazed friezes of the life of St Francis are very merit worthy. Similarly to Evora, Faro also boasts the rather macabre attraction of a chapel lined with the bones and skulls of over 1000 monks (Capela de Ossos). Nevertheless, this isn’t the only interesting feature of the Church of Nossa Senhora do Carmo, sometimes known as the golden church due to the extensive array of gold and gilded décor and artefacts. Also interesting is the section devoted to the Arab rule of the area in the archaeological museum housed in a 16th century convent. Beyond the history of the town, Faro provides well for the shopper with a bustling daily market selling fresh local produce and many shops selling Algarve handicraft and clothing, However the best place for this would doubtlessly be the monthly market where one can find a wide range of linen and leather goods and pottery. The local theatre hosts an extensive programme of drama, dance and musical performances and in the old electricity station on the waterside one can find the Centre for Living Science with its interesting and interactive exhibits providing entertainment for all the family. Furthermore, this area is also somewhat a golfer’s delight with nearly 20 golf courses on the coast between Faro and Albufeira. A walk along the waterfront and beside the yacht-filled harbour, with its gaggle of cafes and maritime museum, reminds the visitor that Faro is indeed a waterside town. The thousands of hectares of estuary that surround Faro are visited every year by hundreds of different migrating birds and are also home to many other species of animal. 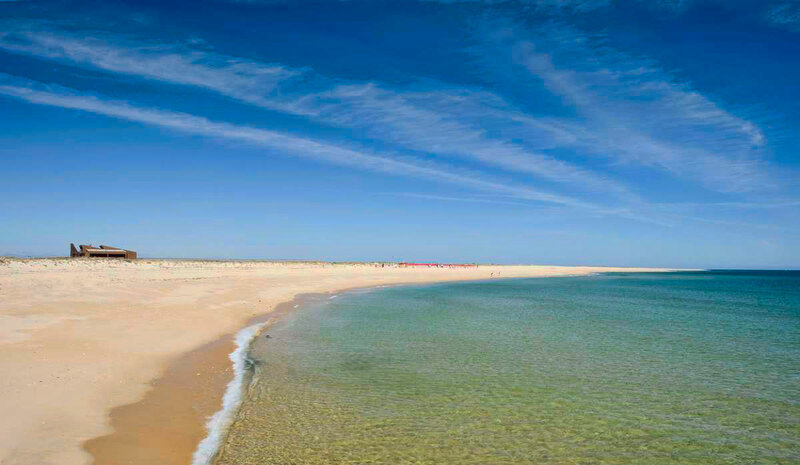 As for beaches, Praia de Faro is a long, sandy example reached by a bridge near the airport a few kilometres out of the centre. Other beaches found on the many islets in the Formosa Estuary are accessible by boat and the Praia de Farol is superb for water sport activities. Just outside of the city, the village of Estoi is still very much typical of a quieter more rural Portugal where tourists are still somewhat of a novelty. 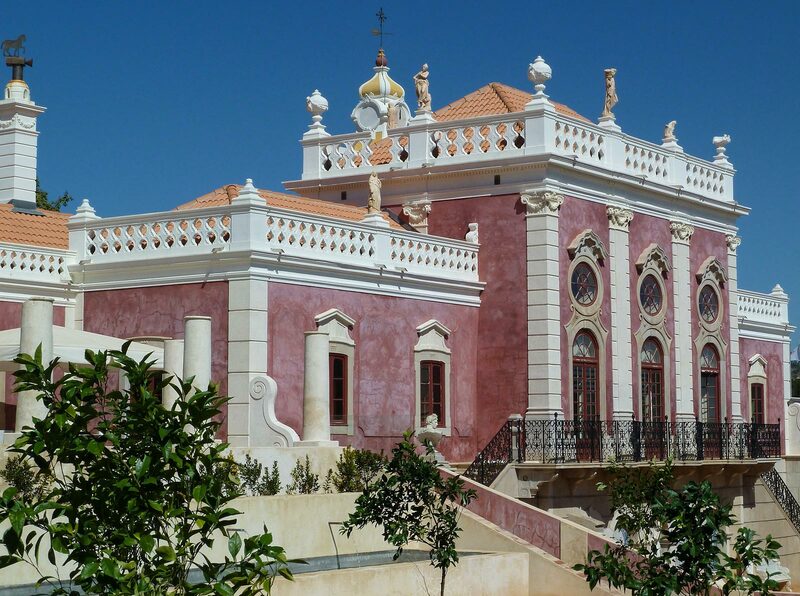 The main attraction is the 18th century pink palace of Visconde de Estoi with its well-kept formal gardens, however the 1st century Roman ruins of Milreu are only a short walk away.